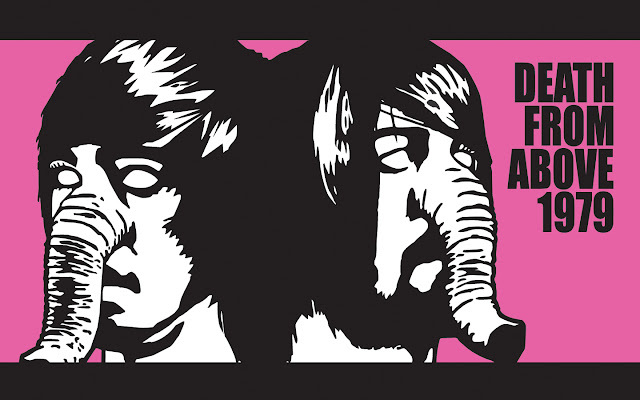 I really do love Death From Above 1979. I listened to their only studio album, I'm a Woman, You're a Machine, incessantly as a high school grad and freshman in college. I think it's a perfect album. I love their loud, brash brand of synth-infused noise rock so very much. One of my favourite all time songs (and my ringtone) is "Black History Month", aptly named because it was written in February. It bleeds with so much energy and raw appeal. The pulsating bass and drum beats give off a vibrant, eclectic feel. Sadly, I never got to see them perform live. The one time I was aware that they were in town, they performed at a club a few weeks before my 19th birthday, making it impossible for me to attend. I was crushed when they broke up in 2006. I was needless to say ecastatic when I heard the duo were reuniting at Coachella music festival. However, I shocked since I was under the impression that drummer/singer Sebastien Grenier and bassist Jesse F. Keeler (now of MSTRKFT) kind of hated each other and were ecstatic to move on. 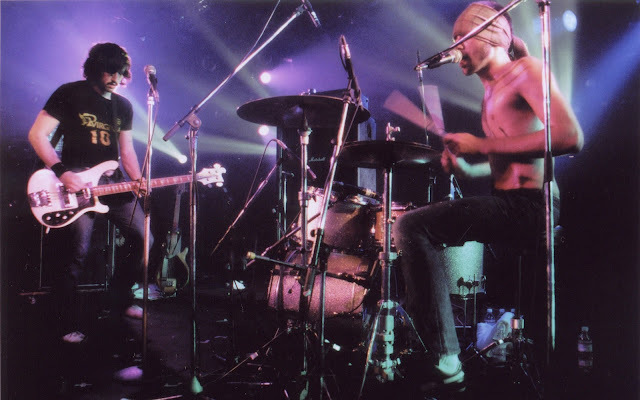 However, nothing either did after the break up really lcaptured the same magic of their bass and drum electo rock. If you have never checked out DFA and enjoy hard edged, dance punk rock, give them a listen. Their brash style is incomprable. To this day, their performance on Late Night with Conan O'Brien featuring Max Weinberg ripping on the drums is one of the most entertaining live television musical performances ever. This reuniting, however long it lasts, promises to be epic. Rock on.